Situated on the floor above a market, Tiong Bahru hawker centre is the place to go for some of the best local food in Singapore. Here, one can find a good variety of local food of a very high quality in a pleasant environment. 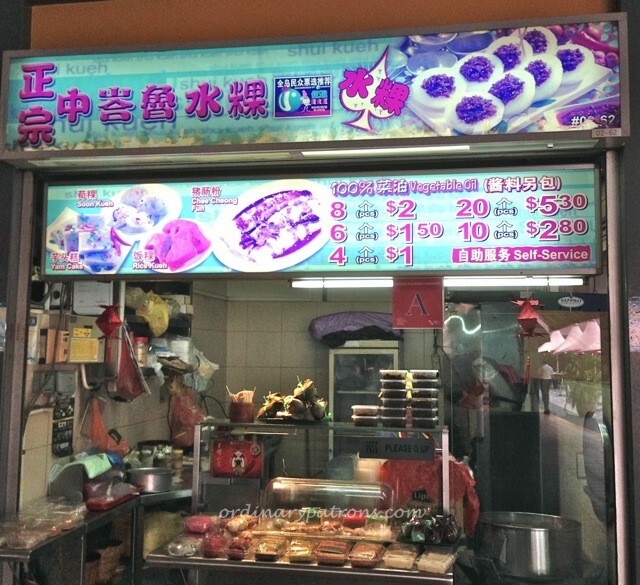 Unlike many other places, this hawker centre is relatively clean, modern and well managed. It does however get very crowded on weekends as people from all over the island flock here. 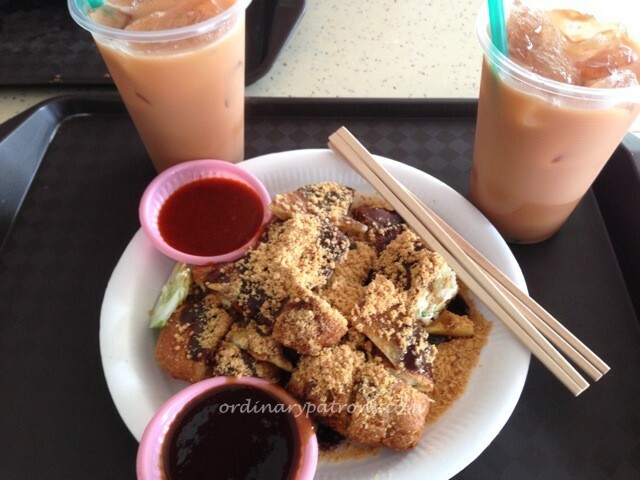 One of the “must eat” item here is the chwee kueh. There are two stalls here and they are both good. Usually we are happy to just go to the one with the shorter queue at the time. 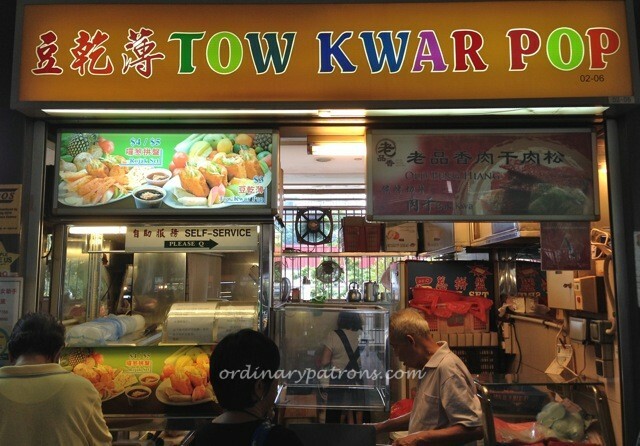 Today we patronised the Tiong Bahru Chwee Kueh stall (unit 02-62). As usual, the kueh was creamy and consistent. 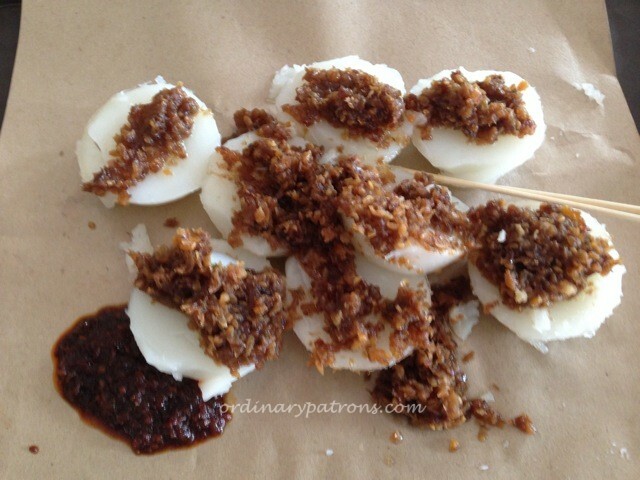 Together with the fried chai poh and chilli paste, it was delicious. At $2 for eight pieces, it was excellent value. 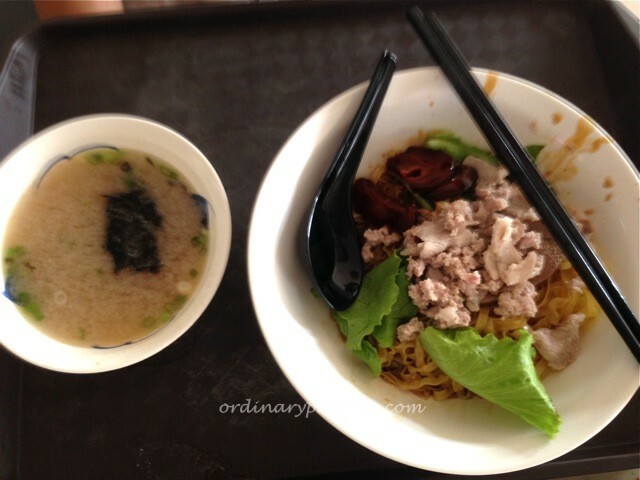 Another item which we really like here is the bak chor mee (flat noodles with minced pork). 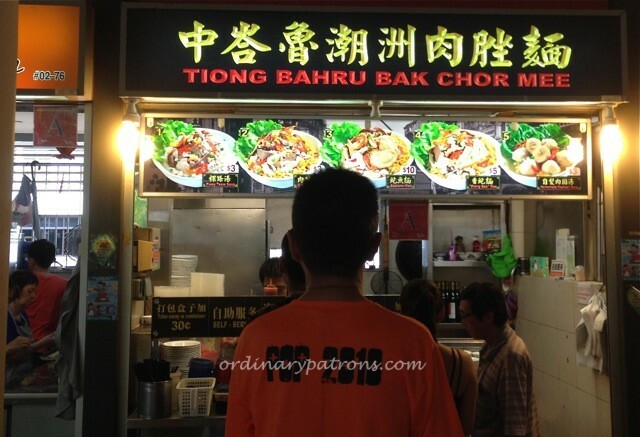 We joined the long queue at the Tiong Bahru Bak Chor Mee stall (they have a grand signboard which you won’t miss) and were soon munching on yummy al dente translucent mee pok. The last item we had were some toasted tau poks. We were attracted by the delightful name and signboard of the stall. The tau poks (dried bean curd puffs) were well toasted with a lot of vegetables inserted. This is quite an unusual dish to find these days and was prepared by an old charming uncle that spoke really traditional Teochew. Just being at the stall makes you feel like you have traveled 50 years back in time. 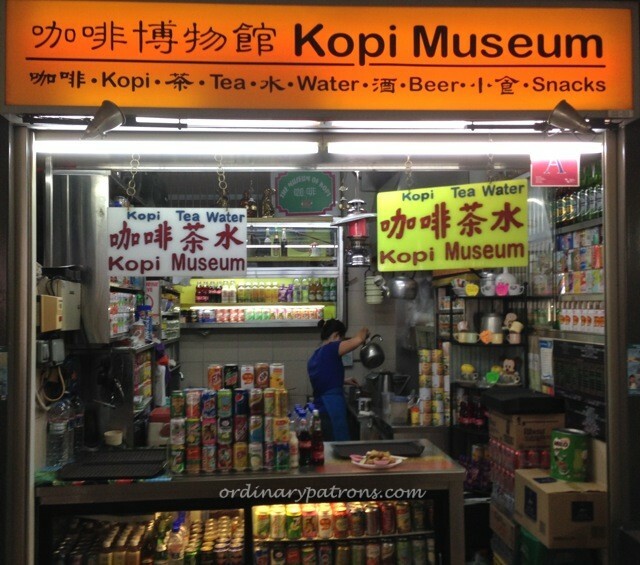 We ordered our drinks of iced tea from the Kopi Museum, the tea was not bad but not exceptional. What we like about this shop is the very courteous person who attended to us and the interesting decor of the place. As you can tell, we enjoyed out lunch at Tiong Bahru not only because of the food but also because of the unique experiences one can have here. Other popular food stalls in Tiong Bahru Hawker Centre to look out for will include 178 Lor Mee, Pork Ribs Prawn Noodles, Tiong Bahru Hainanese Boneless Chicken Rice, Koh Brothers Pig Organ Soup and Lee Hong Kee Cantonese Roasted.